Perfect earbuds for back to school! These Luv Buds come in 13 different designs. I know many of the schools actually require earbuds in their back to school list of supplies. 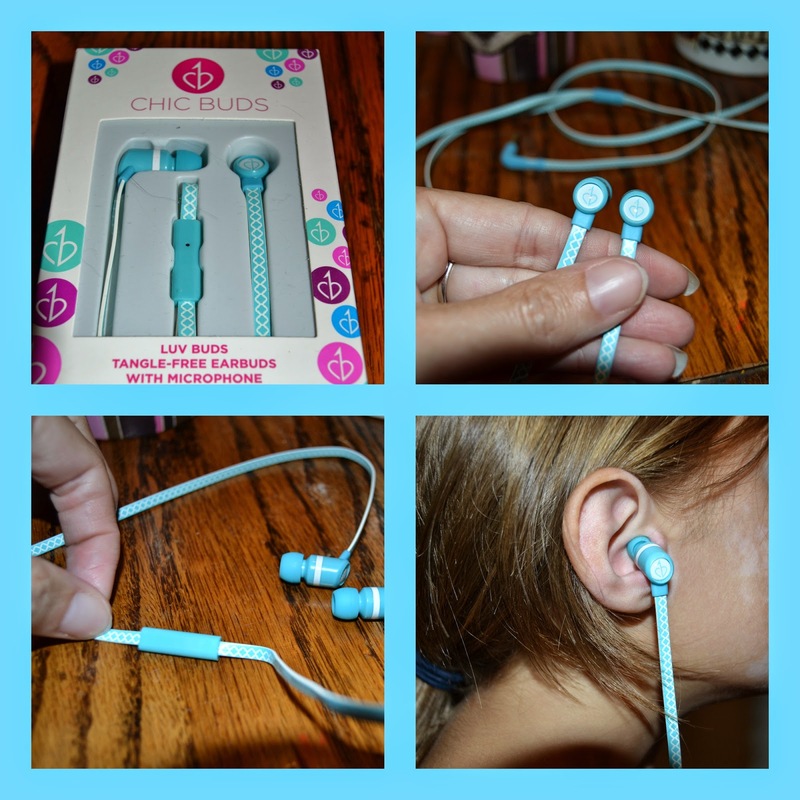 The Luv Buds are perfect in their uniqueness for young girls to keep track of their own personal earbuds. No tangle, flat cords. 3 different sizes of gel tips. Crystal clear audio sound. These earbuds are very female friendly! In my home full of boys, these are guaranteed to stay with my ipod rather than disappear on my boys' heads! The small design of the earbuds is perfect for more feminine ears.The earbuds are very comfortable and not bulky and cumbersome. The Chick Buds also come with a built in microphone, so tiny you barely even know it is there! Focused 100% on the female customer, Chic Buds takes technology to a more Chic level! Meet your tech needs in style and fashion! Be sure to check out Chic Buds on these social media sites for latest products! I do like that these are tangle free! I am always trying to get the knots out. These look terrific to try. My daughter is always tangling her earbuds! These look great for avoiding that. I think I will look into getting her a pair! I totally need these headphones!